You can now add 18 people to the unemployment rolls in the province of Ontario. These individuals, however, aren't necessarily worried about making ends meet or having enough money to put food on the table. The 18, of course, are the now-former Ontario MPPs who either chose not to run or lost in last week's provincial election. According to the Canadian Taxpayers Federation, this group will collectively earn approximately $2.8 million in severance. Unlike in federal politics -- where MPs and senators earn a lifetime pension -- Ontarian MPPs are given severance based on the number of years served in office and average annual remuneration. An MPP that has served four years or less at Queen's Park receives a severance equal to six months of his or her average salary; a member serving more than four years but less that eight years earns one years' salary; and any MPP with more than eight years in office gets a severance equal to eighteen months pay. The largest payout, according to the data provided to Yahoo Canada News, goes to former cabinet minister Liberal Ric Bartolucci. For his 19 years service, he get's a taxpayer funded 'going away present' of $265,400. 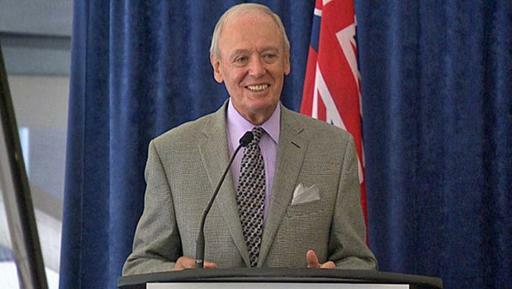 Progressive Conservative Doug Holyday, who had been an MPP for less than one year, will take home $77,000. CTF's Gregory Thomas suggests that the provincial severance system is better for taxpayers than the federal pension scheme. "The severance payments are on the high end of what somebody would get if they were working a similar six-figure job in the business sector. That being said, there is no lifetime pension entitlement, just a one-time cash payment," he told Yahoo Canada News. "The federal Parliamentary pension plan pays out $56 million a year, each and every year, to former federal MPs. These payments extend for life, with a 60 per cent benefit going to an MP’s surviving spouse for their entire life. The average survival in the federal plan is age 90 – that’s the average. The payments are indexed to inflation. "So provincial MPPs would be far better off financially if they had chosen federal politics instead, that’s the bottom line."